The Pawleys Island Festival of Music & Art Announces Line-Up | 2018 - TheUrbanMusicScene.com | Concerts & Festivals! “Each year the festival grows in the talent we attract, the number of attendees and the proceeds raised that help to support the arts in our communities,” said Delores Blount, the Festival’s Director. The Pawleys Island Festival of Music & Art, held at the Reserve Club in Pawleys Island, features Grammy-award winners along with the country’s most promising, emerging performers. “We have something for everyone, both in performance and style. This year, for example, renowned jazz trumpeter, Rick Braun, will deliver the sultry sound that is taking the jazz scene by storm,” she continued. 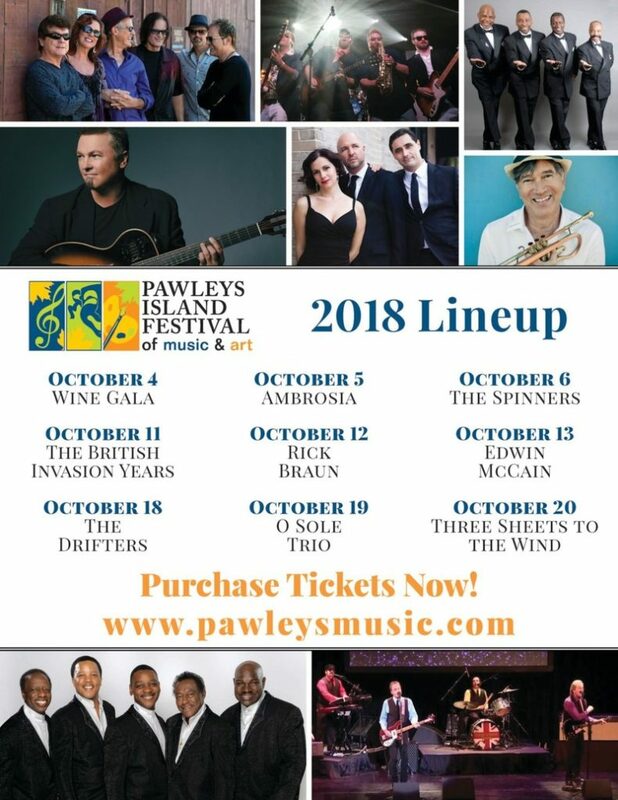 Tickets for the 2018 Pawleys Island Festival of Music & Art, including the Wine Gala, are now on sale and may be purchased online at www.pawleysmusic.org. The Pawleys Island Festival of Music & Art, held at The Reserve Golf Club of Pawleys Island, is a 501(c)(3) which features three weeks of cultural entertainment and musical performances, including a Wine & Food Gala that serves as the event’s primary fundraiser. For more information and the latest updates on the Pawleys Island Festival of Music & Art, along with sponsorship and membership opportunities, visit them online at http://www.pawleysmusic.com/ or call 843-626-8911.